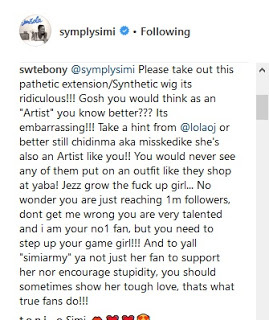 A concerned fan, Maria (@swtebony) has taken to the comment section of popular singer, Simi to blast her about her choice of wig and dressing! 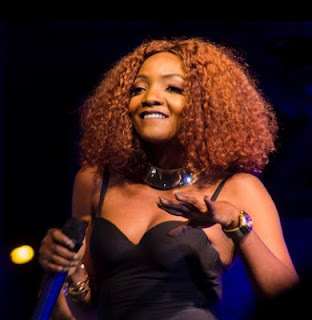 Calling it ridiculous and pathetic, Maria blasted Simi asking her to take a cue from Youtuber LolaOJ! "Please take out this pathetic extension/Synthetic wig its ridiculous!!! Gosh you would think as an "Artist" you know better Its embarrassing!!! 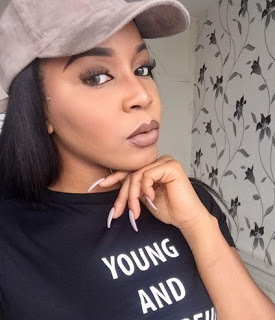 Take a hint from @lolaojor better still chidinma aka misskedike she's also an Artist like you!! You would never see any of them put on an outfit like they shop at yaba! Jezz grow the Bleep up girl... No wonder you are just reaching 1m followers, dont get me wrong you are very talented and i am your no1 fan, but you need to step up your game girl!!! And to yall "simiarmy" ya not just her fan to support her nor encourage stupidity, you should sometimes show her tough love, thats what true fans do!!!" "the amount of aggression in this post is alarming, please do not use me as a comparison to others, we are all unique in our own way. I love love Simi, she is hands down one of the most free spirited and real friends I've met, she if free to wear and dress how she wishes. Please let's all focus on bettering ourselves. Do better. God bless x"
"I guess she is free to wear what she pleases in this case if she is no competitor to you right And hey! Huge mistake using your name, I bet if My handle displays me as a celebrity you would be proud of yourself right I gat you girl! Whatever makes you feel better... #Betruetoyourself"